Yale’s goals for New Faculty Orientation include connecting faculty across the University, introducing University leadership, and offering practical information about Yale’s academic and student cultures. Take part in this campus-wide opportunity for Yale Faculty. Attend colleagues’ classes to experience teaching and learning from students’ perspectives and to learn more about the Yale teaching community. 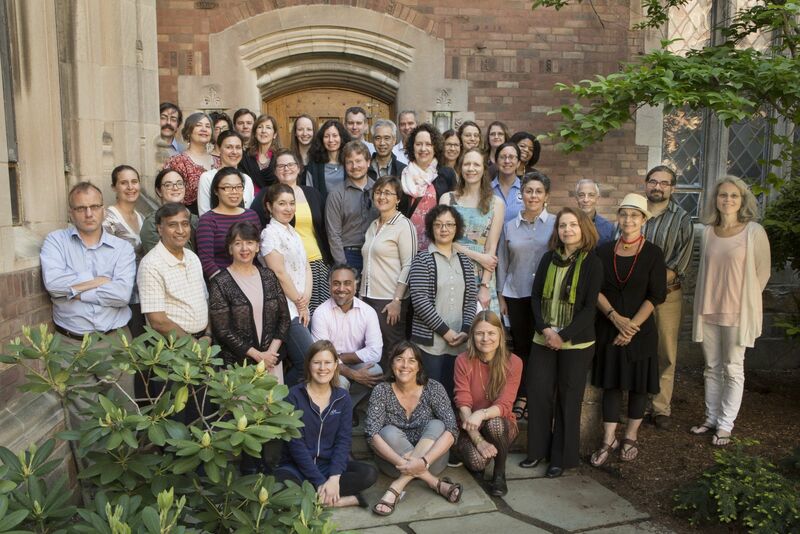 With endowed support, the CTL will launch a new program focused on the development of high-impact teaching for faculty in their first three years of teaching at Yale via structured conversations in communities of practice with peers. Attend drop-in hours and workshops, schedule department orientations, or meet one-to-one to learn more about the learning management system. Learn what Yale students want faculty to know about effective teaching and learning via panel discussions. Deepen pedagogical skills, develop new courses, and learn new strategies with multi-day workshops in May 2019. Engage with peers during informal, one-hour lunches that highlight effective teaching practices at Yale. Subscribe to a bi-monthly email that features excellent teaching from across Yale’s campus. Emails are sent during the academic year by Deputy Provost for Teaching and Learning Scott Strobel. Subscribe to a weekly email that highlights excellent research in teaching and learning. Emails are sent during the academic year by Nancy Niemi. Robert Pinsky, Professor and Director of the Creative Writing Program, will host a seminar. More information and workshops to come. Apply for funds of up to $500 to support activities that enrich teaching and learning in undergraduate or graduate courses. Request an in-class or digital survey to gather instructional feedback from students during the semester and ask us how to use Canvas to gather feedback. Request a one-to-one instructional consultation or classroom observation with a CTL expert year-round. Apply for grants of up to $10,000 to design and develop new digital course materials or to experiment with new teaching models and technologies. The CTL can host specific, time-bound discussions for individual departments, majors, or disciplines. Per the request of a department, the CTL can lead single or multi-session departmental discussions on a number of teaching and learning-focused topics. Submit a request for services here. The Summer Institute on Course (Re)Design takes place from May 15 to May 17, 2017. View the proposed schedule for the 2017 S.I. on Course (Re)Design.